A Donald Trump CPAC speech took the headlines this week for several reasons. His speech at the Conservative Political Action Conference (CPAC) in National Harbor, Maryland was soon enough after the recent Parkland, Florida shootings to be studied for Presidential intent. And he gave it. But, it was perhaps not what anyone was expecting. The President began his CPAC speech with a date. And that's a classic way to begin a Presidential speech. 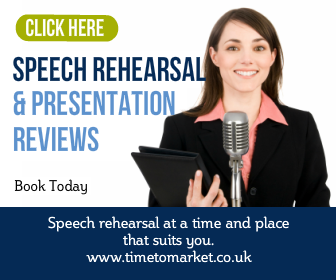 In fact it's a very popular way to open a speech with a whole series of speakers. For more than four decades, this event has served as a forum for our nation’s top leaders, activists, writers, and thinkers. Great. But, if we thought that we were about to hear a familiar Presidential speech, then we were mistaken. Because with this speech we were in totally unfamiliar territory. So, the first reason for the headline? Self-deprecation! For the last year with your help, we have put more great conservative ideas into use than perhaps ever before in American history. What a nice picture that is. Look at that. I would love to watch that guy speak. Oh, boy. Oh, I try like hell to hide that bald spot, folks. I work hard at it. Doesn’t look bad. Hey, we’re hanging in. We’re hanging in. We’re hanging in there, right? Together we’re hanging in. We have confirmed a record number, so important, of circuit court judges and we’re going to be putting in a lot more. Just bizarre. We simply aren't used to this from President Trump. But, it continued. And they will interpret the law as written and we have confirmed an incredible new Supreme Court justice, a great man, Neil Gorsuch. Right. We have passed massive, biggest in history, tax cuts and reforms. I don’t use the word reform, there was a lot of reform too, very positive — I don’t use it. And when we were first doing it I told everybody, everybody gathered, I said, just talk about tax cuts. People don’t know what reform means. They think reform might mean it is going up. And I said, do tax cuts. Yes, the President's speech was a jumbled mix of seemingly incomprehensible syntax. And that was the second reason for the headlines. But, his audience adored it. They simply lapped it up. So, let's just take stock. For this audience, at this CPAC event in Maryland this was a sublime speech. However, most external watchers wanted to know the President's thoughts on gun control. Real thoughts, not tweets. And so, the President let us know. Big time. Bigly. CNN went on, they said, Donald Trump wants all teachers, okay, fake news, folks. Fake news. News. I don’t want a person that has never handled a gun that wouldn’t know what a gun looks like to be armed. But out of your teaching population, out of your teaching population, you have 10 percent, 20 percent, very gun adept people. Military people, law enforcement people, they teach. They teach. And something I thought of this morning, you know what else, I thought of it since I found and watched Peterson, the deputy who didn’t go into the school, because he didn’t want to go into the school, okay. He was tested under fire and that wasn’t a good result. But you know what I thought of, as soon as I saw that, these teachers, and I’ve seen them, and a lot of schools where they had problems, these teachers love their students and the students love their teachers in many cases. These teachers love their students. And these teachers are talented with weaponry and with guns. And that’s — they feel safe. And I would rather have somebody that loves their students and wants to protect their students than somebody standing outside that doesn’t know anybody and doesn’t know the students, and frankly for whatever reason decided not to go in even though he heard lots of shots being fired inside. The teachers, and the coaches, and other people in the building, the Dean, the Assistant Dean, the Principal, they can — they love their people, they want to protect these kids. And I think we’re better with that and this may be 10 percent or 20 percent of the population of teachers, et cetera. It is not all of them. But you would have a lot and you would tell people that they’re inside, and the beauty is it is concealed. Nobody would ever see it. Unless they needed it. It is concealed. Clear enough? Because it got even better. So this crazy man, who walked in, wouldn’t even know who it is that has it. That’s good. That’s not bad. That’s good. And the teacher would have shot the hell out of him before he knew what happened. Good grief. What else is there to say? The President's CPAC speech was undoubtedly a total success with his audience in Maryland. In fact it was probably a total success with his supporters throughout the USA. But elsewhere? Well, you can guess. For a campaigning speech this wasn't an over-long, lengthy speech. Yes, it was one hour 25 minutes in length. But, you simply couldn't be bored with the constant excitement and unexpectedness that you heard. Anything could happen with this monologue. And, of course it did. Because the President's public speaking style is original. Harshly original, but original nonetheless. His rhetorical range couldn't be further away from his predecessor, President Obama. But he's fond of rhetorical questions. And repetition is certainly his thing. We’re even doing the right thing for them. They just don’t know it yet. They just don’t know it yet. But, before we get excited with his rhetorical flourish, he concluded his speech with a whole chunk of new material, foreign policy in general and North Korea in particular. Again, quite bizarre. I appreciate everything you’ve done. I do want to say because people have asked, North Korea, we imposed today the heaviest sanctions ever imposed on a country before. And frankly hopefully something positive can happen. We will see. Hopefully something positive can happen. But that just was announced and I wanted to let you know. We have imposed the heaviest sanctions ever imposed. So ladies and gentlemen, thank you for everything. You’ve been incredible partners. Incredible partners. And I will let you know in the absolute strongest of terms, we’re going to make America great again and I will never, ever, ever let you down. Thank you very much. Thank you. As a campaigning speech for a tame and very kind audience this was perfect. But for an interested and intrigued wider world, this was a bizarre speech. Though, as a campaigning speech it really did work. 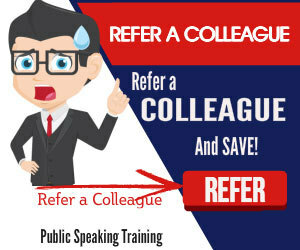 You can discover more public speaking tips with Time to Market's regular series of tips, hints and suggestions for public speakers.